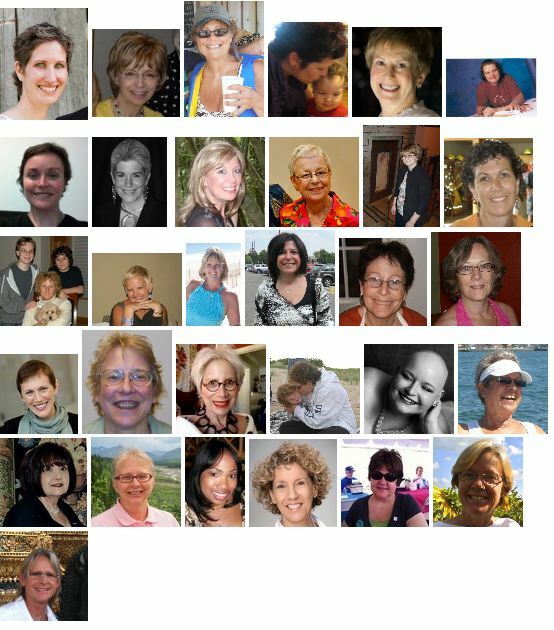 We at MBCN are so honored and proud to display Our Wall of Stories of those Living with Metastatic Breast Cancer on our home page—31 stories—one for each day of October. We want to thank all of you who contributed and helped spread the message of what it’s like to live with stage IV breast cancer. Here is a screenshot of our story writers, but please visit mbcn.org to click on their photos and read their stories. Our friend and fellow advocate Christine Benjamin of SHARE Cancer Support posted this wonderful summary of the MBCN conference from her notes and graciously allowed us to reblog it here. 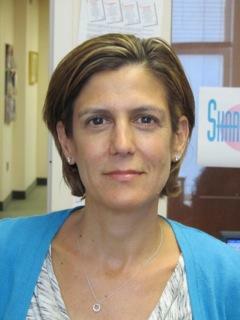 Christine is the Metastatic Program Coordinator at SHARE Cancer Support in New York City. SHARE’s mission is to create and sustain a supportive network and community of women affected by breast or ovarian cancer. SHARE brings these women and their families and friends together with others who have experienced breast or ovarian cancer, and provides participants with the opportunity to receive and exchange information, support, strength and hope. All services at SHARE including informative speaker programs, in person support groups and support hotline are free. In addition, the website is available in both English and Spanish. (www.sharecancersupport.org). Hotline number is (866) 891-2392. On Saturday October 13, 2012 (Metastatic Breast Cancer Awareness Day) MBCN held its annual conference in Chicago. The conference is one day long and packed with information covering many topics. There are five general sessions, three breakout sessions, a couple of breaks and lunch. 1. The first general session was given by Virginia Kaklamani, M.D., Associate Professor, Division of Hematology/Oncology at Northwestern and it was entitled: Understanding MBC: How it is Followed in the Clinic and When to Use Standard Care or Clinical Trials. What is the reason for the trial? Why are you doing this trial? What phase is the trial? How many patients will be enrolled? From where? What are the drugs being used in the trial? What kinds of tests are required? How do I know treatment is working? How often will there be CT scans? How many visits will the trial require? Do I know what I am receiving? How long will I be on the trial? Dr. Kaklamani also suggested that potential participants be aware of whether the study is helping you or humanity in general. This she feels might help patients make a decision to participate or not. 2. Next, I attended a breakout session on Triple Negative Metastatic Breast Cancer (TNMBC) by Dr. Rita Nanda from the University of Chicago. Dr. Nanda states several known facts about TNBC, including the following: (1) TNBC has different subtypes; (2) research about TNBC is relatively new, and TNBC is defined by characteristics it does not have; (3) as TNBC’s are genetically unstable, chromosomes are actively rearranging and gene alterations are ongoing. She concluded that being able to subdivide triple-negative breast cancers into subcategories will help researchers identify new targets for therapy. Targets that are currently being investigated are: Parp inhibitors, Androgen receptor, Death Receptor 5, Glucocarticoid receptor, P13K/mTor inhibitors, Jak2 inhibitors and macrophages or the tumor microenvironment. 3. The next presentation was given by Patricia Steeg Ph.D, from the NCI. In her lecture entitled: A Common Sense Approach to Mets Research to Achieve Results, she broke the talk down into three lessons. Dr. Steeg spoke about a study involving a LPA1 Inhibitor which showed the primary tumor size was unaffected by the LPA1 Inhibitor. What the study did not report is that the tumor size was unaffected for the period of study which was ten days. At 70 days, however, significant changes in tumor size were noted. Seventy days was outside the scope of the study and therefore findings were not deemed significant. In another study, Dr. Steeg showed a slide referring to Ki67 Staining of Primary Tumors. Dr. Steeg said this study “blew her mind” because a drug made by Debio, which was developed for fibrosis, caused significant changes in primary tumor. Debio gave us [who is “us?”] the license for the drug, but another pharma Amira had a similar drug that they sold to Bristol Meyers Squibb who declared they would not develop the drug for two indications. It was discovered another pharmaceutical company has a similar drug and is now in negotiations with the NCI. Basically Dr. Steeg feels that “we are approaching metastasis from two different directions,” where oncologists want to shrink the tumors of patients with metastatic disease while other researchers want to prevent the formation of mets and additional mets. A panel of four young women living with MBC talked about their disease, their lives, their fears and hopes. The conversation was opened up to the audience and most of the young women in attendance participated. One woman stated that once she was diagnosed with MBC she was “no longer part of a community where I was once embraced,” referring to the broader breast cancer community. Others expressed concern about leaving their children, worrying about children with special needs, wondering if their kids will remember them. One woman talked about the stress of losing friends to the disease, saying “when my friends die, it’s like watching my own death.” Many discussed their feelings of jealousy towards friends not living with MBC as they plan their weddings and births of their children. 5. How Do I Find a Clinical Trial? Dr. Cohen discussed the different phases of clinical trials and gave a live demo of the newly designed Breastcancertrials.org and how best to find a clinical trial. Dr. Paice discussed different types of pain including nociceptive pain which is the aching, throbbing sort of pain one might feel in the bones. There is visceral pain that is associated with cramping. She states it is important to be able to describe pain accurately to doctors so the right medication can be prescribed. Dr. Paice suggests keeping a diary or journal indicating the type of pain, time of day, location of pain, what it feels like, intensity, medication taking, dosage and any other information that might be relevant. Chemo Induced Peripheral Neuropathy is a common occurrence with certain types of chemotherapy. CIPN usually occurs in the hands and feet and can affect balance as feet may not feel the floor as they have before. There are some agents that may be helpful to some who have CIPN: Calcium, Acetly Carnitine, Duloxetine, Glutathione, Oxcarbazepine, Zaliproden, Venlafaxine. In addition to opioids and non-opioid drugs that may help CIPN, Dr. Paice discussed non-pharma therapies such as integrative therapies like acupuncture, physical measures such as PT, OT and exercise, and cognitive behavioral therapies. She stated it is important to exercise or keep moving. BMR’s include monoclonal antibodies, recombinant toxins, vaccines, adoptive immunotherapy, interferons and cytokines, hormonal agents, signal transduction modifiers, transcriptional regulators, anti-sense compounds, angiogenesis inhibitors, proteasome inhibitors, metabolism inhibitors and DNA repair inhibitors. There are currently a few FDA approved monoclonal antibodies including Herceptin (Trastuzumab), Perjeta (Pertuzumab) and the newest monoclonal antibody drug conjugate Trastuzumab Emtansine or T-DM1 discussed in the EMILIA trial. Recombinant toxins are proteins made by genetic engineering consisting of a toxin fused to a ligand which binds selectively to a target cell. Recombinant toxins used for cancer treatment generally contain either a growth factor or a recombinant fragment of a monoclonal antibody fused to a truncated bacterial toxin, derived either from Pseudomonas exotoxin or from diphtheria toxin, according to Pubmed.gov. One recombinant toxin linked with diphtheria toxin is approved for clinical use in advanced stage T-Cell lymphoma. Dr. Rosen showed the slide below of a patient covered with lesions before receiving treatment and a photo of the patient after treatment. There was great improvement in the number of lesions. Next Dr.Rosen discussed vaccines which produce “modest benefits” but did refer to a vaccine for prostate cancer that has been approved by the FDA. He also talked about epigenetics which controls genes and the identification of a second layer of controlling genes that is being looked at in leukemia drugs. Dr. Rosen also discussed metabolism inhibitors, DNA repair inhibitors and nanotechnology or nanoconstructs which are FDA approved including Abraxane. 8. The last session of the day was presented by Shirley Mertz, MBCN Board Member and woman living with metastatic disease. The session was entitled, Advocacy: Use your Voice to Change Outcomes for MBC. Shirley spoke about the AIDS movement as a model for advocacy in action. Editor’s Note: MBCN’s 6th Annual National Conference (“Moving Forward With Metastatic Breast Cancer,” took place Oct. 13, 2012 at Northwestern’s Lurie Cancer Center in Chicago. In a few weeks, videos and presentation handouts will be posted at MBCN.org. In the interim, here are some highlights from selected breakout sessions, from attendee Pam Breakey. • to determine if receptors have changed from the primary to metastatic site. She quoted a Swedish study that found changes of 34% in hormone receptor positive mbc and 14% with her2neu positive mbc. In monitoring treatment, physical exam, labs, CBC, Chem. Panel, tumor markers, scans are used. When a drug is effective, it is generally continued until progression or toxicity. Tumor markers not used alone but with scans, history and physical exam. She discussed “visceral crisis”—rapid progression or large disease burden with significant symptoms, often beginning in the chest. Endocrine treatment is often stopped when a patient has had no response to 3 consecutive hormonal treatments or is in visceral crisis. Chemo is used then. She talked some about specific hormonals—my note taking could not keep up! Dr. Rao spoke softly but audibly and was understandable. This was a large break out session. Pam Says: I have a pro Rush University Medical Center bias— I did my Clinical Pastoral Education (Chaplaincy Internship) and then worked part time in that system for over 2 years, enabling me to incur no more student loan debt during seminary. I appreciated that the physicians that I encountered were very open with patients when any mistakes, including errors leading to death, were made. I had very positive experiences with the ethics committee within the Rush system and liked that chaplains were always involved in end of life care. >As treatment extends lives, there are more long term issues with bone mets, largely QOL issues. >In the US, 400,000 new patients a year develop bone mets. >Of those with mbc, 68% have bone mets. >Of those with metastatic lung mets, 48% have bone mets. SRE-skeletal related event—from bone mets, these have symptoms and consequences such as pain, fractures, need for surgery or radiation. >Bisphosphonates have been available for 15-20 years and delay SRE and need for opiate pain meds. >The ideal dosing schedule is not known…..every 1, 2, 3 months are often used. >“Mab” at the end of a drug name means it is an anti body. Pam Says: Dr. Gradishar was also easy to listen to. I wish this session had been longer and included hand outs! I found him likable, too. Pam Says: I was on the panel for this presentation and cannot be objective. Panelists did little but introduce themselves and the discussion was lead by the moderator who invited and encouraged audience participation. Most questions were about family relationships, especially problematic ones. About Pam Breakey: Pam is a retired psychotherapist and Episcopal priest who has been living with de novo metastatic breast cancer since March, 2004. She and her husband of eleven years, Mike, a retired police officer, live on ten acres in the SW Michigan woods where they compost, grow flowering plants and feed the birds and a feral cat. Pam is active member of bcmets.org. Pam says her two- year-old granddaughter and her pets teach her a lot about living in the moment. She values questions over answers and views life as a journey. Editor’s Note: MBCN’s 6th Annual National Conference, “Moving Forward With Metastatic Breast Cancer,” took place Oct. 13, 2012 at Northwestern’s Lurie Cancer Center in Chicago. In a few weeks, videos and presentation handouts will be posted at MBCN.org. In the interim, here are some highlights. We had a great time at Friday’s pizza party and we learned a lot from all of the presentations on Saturday. Among our 200+ attendees, the prize for the best notes goes to our friend Pam Breakey. We were so impressed with the summary she shared at bcmets.org, we asked if we could repost it as a two-part guest blog and Pam graciously agreed. For those who don’t know her, a quick introduction: Pam is a retired psychotherapist and Episcopal priest who has been living with de novo metastatic breast cancer since March, 2004. She and her husband of eleven years, Mike, a retired police officer, live on ten acres in the SW Michigan woods where they compost, grow flowering plants and feed the birds and a feral cat. Metastatic Breast Cancer is the breast cancer that has spread to distant organs. Mets are not always “the same” as the primary lesion and therefore the importance of getting biopsies of the metastatic lesions has recently been recognized and made part of the staging/evaluation process. There have been incremental increases in survival time since the 1970s. In following patients, asking the patient “how are you doing” is the most useful. Goals are for treatment to work and to maintain quality of life. Scans used are often CT, bone scan and PET. Tumor markers used include: CA15-3, CA27-29, CEA, and CA125. TMs should be interpreted in conjunction with scans, which are generally done every 3 months and stretched to every 6 months when cancer is stable. Patients and physicians (oncologists) often have different goals of treatment. While patients want increased OS (overall survival) of a year or more and good QOL (quality of life), oncs often look at much shorter OS (4-6 months) as a desirable goal. This illustrates the importance of good patient-oncologist communication and decision making! Clinical Trials are research studies using people. Patients need to know what type of trial they are considering. Example of how a patient might benefit from a clinical trial—a patient with large brain mets plus at least ten other mets has WBR (whole brain rads) and a trial oral chemo. Patient has good response, is able to obtain A s in college and feels well. Ta-da—much happy dancing. • What is the reason for the trial? • Which phase is it? • How many patients are enrolled? • What kind of patient is being looked for? • What drugs are involved (both experimental and control)? • How would I know that treatment is working? • How often and for how long would I have to come to the hospital/clinic where the trial is being done? • What is the randomization? • Is there a placebo being used? • Will I eventually be informed of what drug I was getting? • What are the potential toxicities, side effects? • Is there a standard treatment? • What is the potential benefit to me? • Does the benefit outweigh the risks? • What will the financial cost be to me? • What are my alternatives? During Q & A—she stated that for us over age 30, exposure to radiation is not a problem. She also said that as time goes by, there are more generic drugs available to us and that those are good options. Pam Says: I found Dr. Kaklamani to be easy to listen to and I thought that her patients probably like her a lot—I think I would! She seemed very approachable and down to earth. Patricia Steeg, Ph.D., Chief of Women’s Cancer Section and Director of the Molecular Therapeutics Program, Center for Cancer Research, National Cancer Institute. WHAT IT TAKES TO ELIMINATE A METASTASIS IS FUNDAMENTALLY DIFFERENT THAN WHAT IT TAKES TO PREVENT ITS FORMATION!!! Dr. Steeg did not jump up and down or scream, but she emphasized this and has before and undoubtedly will again. Perhaps that might be our new mantra as metsters. Most of the compounds that have been tested pre clinically for mets prevention that have showed promise do nothing to shrink established metastatic lesions, i.e., they work on single cells or micro mets only. It just is not known what causes dormancy or what ends it. The current system of clinical trials is not set up to validate a metastasis preventing drug. Editor’s note: And as metsters we need both kinds of drugs: those that eliminate or shrink a metastasis and those that will prevent new ones from forming. Unfortunately the current system is set up just to test those that shrink a metastasis and NOT those that will prevent new ones. Pam Says: If you want to watch just one of the videos that will be posted to the MBCN website from this conference, I would recommend this one. Or the one by Dr. Kaklamani. This was at least the third or fourth time I have heard Pat speak. She is very gifted at explaining complex biology and cell behavior to lay people. If I had pots of money to give for mbc research, I would give it to Pat. I find her highly approachable and very willing to talk with us. Editor’s Note: The Metastatic Breast Cancer Network presented Dr. Patricia Steeg with the Ellen Moskowitz and Suzanne Hebert Leadership Grant Award to a thunderous ovation from our attendees. 1. BreastCancerTrials.org was relaunched this spring At their site, you can put in info about the specific cancer, treatments used so far, etc and request notification of trials that might be a good fit. Pam Says: I used one of these sites in the past and got notification of several trials but had a hard time finding specific info back on the main website and found myself spending more time than I wanted to so signed off and don’t remember which site. For anybody looking for trials, this is good info to have! Pam Says: This poor man had the worst time slot of the conference—after lunch nap time—I found it hard to concentrate and I don’t know how much of that was timing and how much was his presentation. I am afraid I have nothing at all to report as my notes make no sense to me whatsoever! The HIV/AIDS community has been a great example of how a community can come together and advocate for heath care issues. They got educated, organized and active. They can be a good model for activism. BC and MBC are political issues. Society attitudes about a disease are shaped by the influence of “important people” and organizations. We need to know where our members of Congress stand on the Affordable Care Act, and where the Presidential candidates stand. When we do advocate, we should let MBCN know. MBCN and Komen had a seat at the Metastatic Cancer Round Table in Feb 2/2012. Komen is figuring out that women with MBC don’t feel represented at Komen and they are asking What can we do for metastatic bc? Less than 5% of bc research funds go to target the metastatic process. That needs to be addressed. Shirley suggests that when we are to have biopsies, we ask our docs if extra tissue can be taken for research! Editor’s note: Sandra wrote this piece on October 16, her 39th birthday and shared her thoughts on attending the recent MBCN conference. The last couple of days have been very memorable. I traveled back to Chicago on Friday October 12 for the 6th Annual Metastatic Breast Cancer Network Conference. This is the first breast cancer conference that I have attended since my diagnosis and needless to say, I was a bit nervous about the experience. I knew that I was bound to learn a lot about new therapies and treatments for metastatic disease, but I was concerned about the emotional toll that the conference might bring. I was nervous about meeting young women like me, struggling to balance a life-threatening disease during the so-called “prime” of our lives. I have to say, that I met so many amazing and wonderful women at this conference. I met women in their 30’s who had been battling this disease for over 8 years. I cried when a woman described her fear of dying before her 5 year old son was able to grow up, but who also found the strength to make dramatic life changes and truly “live” her life. There are so many people out there who are struggling with one treatment after another to try and extend their life until they can find the treatment that will lead to a “cure”. We really don’t talk about “cures” when it comes to metastatic cancer, not because we don’t want one (or many) but because of the fear of not being able to find one. I met a lot of angry women at this conference, too. They are pissed off about having to face death before the age of 40, mad that most of America is more fixated on “boobies”, breasts, and “tatas,” than the fact that 40,000 men and women are DYING of breast cancer every year. And they are angry that only 5% of all of the money raised by the “pink” organizations actually go to metastatic disease. I know that this is sadly a marketing issue, but somehow it needs to change. I also learned some good technical information. I heard a good talk from Dr. Steven Chmura at the University of Chicago, who spoke about “oligometastasis” and breast cancer. This was a term that I had never heard before, but a category that I fit into. Oligometastasis encompasses those patients with limited metastatic disease, specifically it is those that have fewer than 5 metastatic lesions of which are 5 cm or less. The promising news was that the 5 yr survival rate for oligometastatic patients was 59.6% in a U of Chicago study, compared to 11.6% for patients with full-blown metastasic disease. I need to do some research on this, but I found it to be exciting news. 2) There is a lot of work being done in the area of breast cancer treatment, which will help provide additional options for those suffering from this disease. Overall, I left the conference with a lot of hope and some sadness. Sadness for those that I met that are truly fighting their cancer with everything they’ve got and suffering tremendously in the process. Let us all hope that we do find something that can change the outlook for those with metastatic disease before it is too late for these strong, courageous women. Spoiler alert- I’m going to reveal one of the latest Facebook games going around! In past years, women have been asked to update their Facebook status with their bra color, the location of their purse, and other odd statuses in the name of Breast Cancer Awareness. One of this year’s versions is to post a heart as your status. This is supposed to promote Breast Cancer awareness. Can anyone tell me how, since one of the rules of the game is “if anyone asks you why you have a heart as your status, don’t tell them”? What’s the point? How does that spread awareness? And besides, isn’t everyone already aware of Breast Cancer? How about something more useful? If you want to do something meaningful for October, do something that will actually help yourself or someone else. Don’t settle for posting a heart and buying a pink water bottle. Start a conversation. Take a stand. If you’re 40 or older and haven’t had a mammogram in the past 12 months, schedule one. If you’re told “it’s probably just a cyst”, or “probably just an area of dense tissue”, or “you’re too young” (breast cancer can hit at any age- even teens) demand an ultrasound or mammogram to confirm. Make a donation to Metavivor (www.metavivor.org) – a volunteer organization that provides grant money to researchers looking into cures for Metastatic Breast Cancer. Make a donation to Metastatic Breast Cancer Network (www.mbcn.org). MBCN’s mission is awareness of mbc, education for patients and advocacy for treatments to extend our lives. Before throwing random pink items in your shopping cart, find out how much, and to where, that company is donating. If the company doesn’t or can’t tell you, reconsider the purchase. Join Army of Women (www.armyofwomen.org) , and help researchers find the cause of Breast Cancer. They need women of all ages, with or without any prior history of breast cancer. 280,000 women and 2,000 men will be diagnosed with Breast Cancer this year in the US. According to American Cancer Society, 39,520 women and 450 men died of breast cancer in 2011. A lump is not the only sign/symptom of Breast Cancer. One type, Inflammatory Breast Cancer, doesn’t present with a lump at all. Risk factors include being a woman, being overweight, not exercising, not eating healthy, smoking, getting older, and drinking alcohol. You can control most of these. Learn more: http://www.breastcancer.org/risk/factors/. But doing everything right doesn’t make you immune, either. You can’t prevent Breast Cancer, but you can reduce your risks. 1 in 8 women will be affected by Breast Cancer in her lifetime. 20-30% of women diagnosed with an early stage (stage I, II, or III) cancer will have the cancer return months, years, or decades later as stage IV (metastatic). 6-10% of women (like me) will be diagnosed with Metastatic Breast Cancer from the get-go. There is no cure for Metastatic Breast Cancer. Only 5-10% of Breast Cancer cases are due to genetic factors. Thank you, on behalf of all women currently living with Breast Cancer, for helping us spread meaningful and useful information about this. You are currently browsing the MBCNbuzz blog archives for October, 2012.